Tested in HP OfficeJet Pro 6860 Printer Series. Average continuous composite (cyan/magenta/yellow) yield based on ISO/IEC 24711 or HP testing methodology and continuous printing. Actual yield varies considerably based on content of printed pages and other factors. For details, see http://www.hp.com/go/learnaboutsupplies. 1 Based on cartridge yields for HP 902XL ink cartridges compared with HP 902A standard ink cartridges. For more information, see http://www.hp.com/go/learnaboutsupplies. 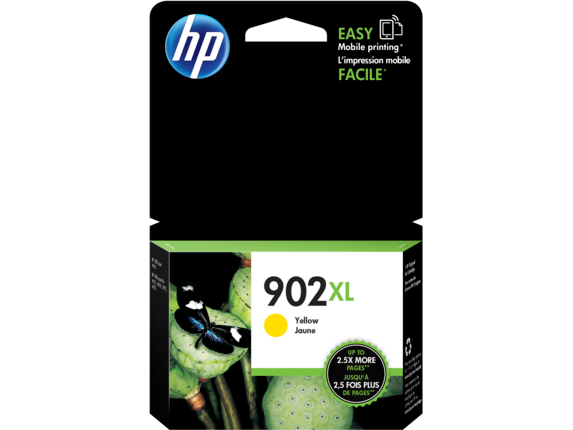 2 Based on cartridge yields for HP 906XL ink cartridges compared with HP 902 standard ink cartridges. For more information, see http://www.hp.com/go/learnaboutsupplies. 3 Based on internal HP testing of Original HP pigment inks on ColorLok® papers. 4 Water, smear, and fade resistance based on ISO 11798 and internal HP testing. For details, see http://www.hp.com/go/printpermanence. 5 Program features, retailer participation, and availability may vary by country. Internet access is required and not included. For more information, visit http://www.hp.com/learn/suresupply. Not compatible with Windows® 2000. 6 HP Planet Partners Program availability varies. For more information, visit http://www.hp.com/recycle. 7 Program availability varies. For more information, visit http://www.hp.com/recycle. Tested in HP OfficeJet Pro 6860 Printer Series. Average based on ISO/IEC 24711 or HP testing methodology and continuous printing. Actual yield varies considerably based on content of printed pages and other factors. For details, see http://www.hp.com/go/learnaboutsupplies. 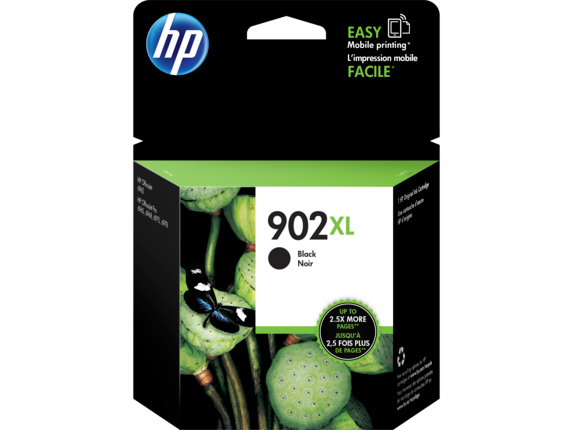 Get up to 2.5x the pages with Original HP XL inks vs. standard cartridges. 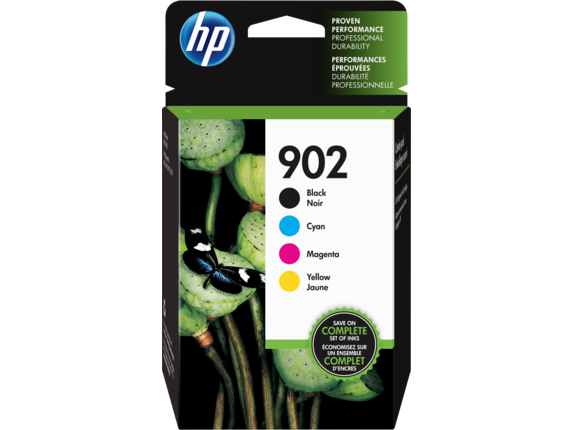 1 Based on cartridge yields for HP 902XL ink cartridges compared with HP 902A standard ink cartridges. For more information, see http://www.hp.com/go/learnaboutsupplies. 2 Based on cartridge yields for HP 906XL ink cartridges compared with HP 902 standard ink cartridges. For more information, see http://www.hp.com/go/learnaboutsupplies. 3 Based on internal HP testing of Original HP pigment inks on ColorLok® papers. 4 Water, smear, and fade resistance based on ISO 11798 and internal HP testing. For details, see http://www.hp.com/go/printpermanence. 5 Program features, retailer participation, and availability may vary by country. Internet access is required and not included. For more information, visit http://www.hp.com/learn/suresupply. Not compatible with Windows® 2000. 6 HP Planet Partners Program availability varies. For more information, visit http://www.hp.com/recycle. 7 Compared with individual HP ink cartridges. Based on estimated U.S. street price. Actual retail pricing may vary. 8 Compared with individual HP ink cartridges. Based on estimated U.S. street price. Actual retail pricing may vary. Get up to 5x the pages with Original HP XL inks vs. standard cartridges. Tested in HP OfficeJet Pro 6860 Printer Series. Average black yield based on ISO/IEC 24711 or HP testing methodology and continuous printing. Average continuous composite (cyan/magenta/yellow) yield based on ISO/IEC 24711 or HP testing methodology and continuous printing. Actual yield varies considerably based on content of printed pages and other factors. For details, see http://www.hp.com/go/learnaboutsupplies. 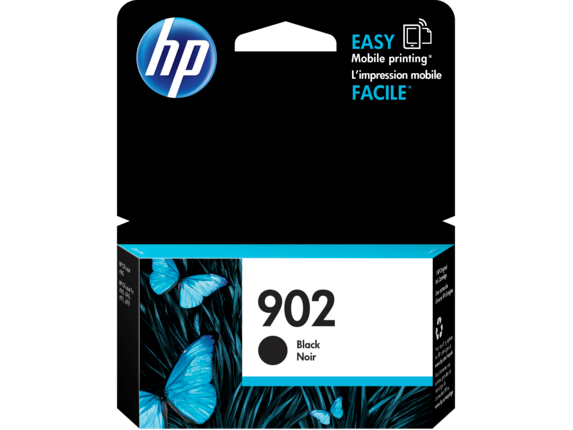 1 Based on cartridge yields for HP 902XL ink cartridges compared with HP 902A standard ink cartridges. For more information, see http://www.hp.com/go/learnaboutsupplies. 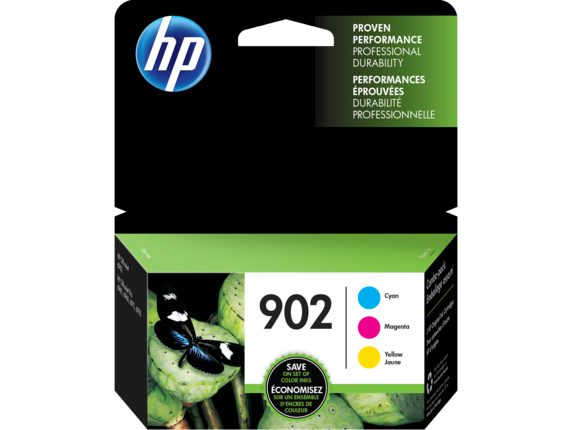 2 Based on cartridge yields for HP 906XL ink cartridges compared with HP 902 standard ink cartridges. For more information, see http://www.hp.com/go/learnaboutsupplies. 3 Based on internal HP testing of Original HP pigment inks on ColorLok® papers. 4 Water, smear, and fade resistance based on ISO 11798 and internal HP testing. For details, see http://www.hp.com/go/printpermanence. 5 Program features, retailer participation, and availability may vary by country. Internet access is required and not included. For more information, visit http://www.hp.com/learn/suresupply. Not compatible with Windows® 2000. 6 HP Planet Partners Program availability varies. For more information, visit http://www.hp.com/recycle. 7 Compared with individual HP ink cartridges. Based on estimated U.S. street price. Actual retail pricing may vary.